Trace the fascinating story of RMS Titanic on this 1-hour White Star Line tour in Cobh. The starting point for RMS Titanic’s ill-fated maiden voyage, Cobh is a town steeped in maritime history. With your ticket in hand, head through the original White Star Line office and step back in time to the age of steam. 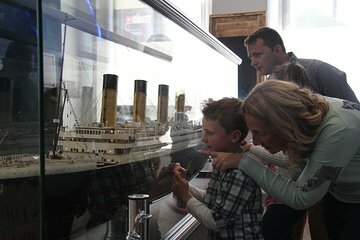 During your 2-part tour, retrace the footsteps of RMS Titanic’s passengers and learn of life on board the ship. Then, gain insight into the collision that sent the magnificent vessel to the depths below. hi my trip to the titantic experience was very good in fact there were elements of it that were much better than the one in Belfast, again I found as I did in Belfast that it is hugely disappointing that there are very few artifacts on display that were recovered from the Titantic.